Using the Submillimeter Array and another radio telescope to study the disk around protostar L1527 IRS, astronomers were able to measure properties of the circumstellar disk, discovering that the disk behaves just like a proto solar-system. Astronomers estimate that once the Sun began to shine it took the Earth another 50-100 million years to grow to its present size, as the solar system evolved. But how did the Earth get started? Planets form out of disks of material that circle newborn stars, and scientists are unsure just when and how planets develop from these disks. Although the vast majority of very young stars show indirect evidence for such circumstellar disks, in only a few cases have disks been imaged directly or studied in any detail because their sizes on the sky are so small (much smaller than the atmospherically blurred sizes of the stars themselves), and in most situations they are fainter than their parent stars. In a new study published this week in the journal Nature, SAO astronomer David Wilner and four of his colleagues report using the Submillimeter Array and another radio telescope to study the disk around a very young star in a stellar nursery only about 450 light-years away in the direction of the constellation of Taurus. The star itself is estimated to be only about 300,000 years old, based on the infrared light it emits as it accretes material from its fetal surroundings. The object was of interest to the team because it was already known to host a disk of some kind. In a first, the scientists were able to measure properties of the circumstellar disk, including its rotation. They discovered that the disk rotation behaves just like the solar system’s planets, that is, with so-called Keplerian motion, named after the 17th century astronomer Johannes Kepler. He discovered that unlike a solid disk which rotates fastest at the outside edge, a system of planets (or other unconnected particles) bound by gravity rotates fastest on the inside edge. This property enabled the team to measure the mass of the central star, which they discovered is five times less massive than the disk itself — the first known case where the disk is more massive than its star. The astronomers conclude that the disk around this young star behaves just like a proto solar-system, and the protostar is the youngest ever studied to show these properties. 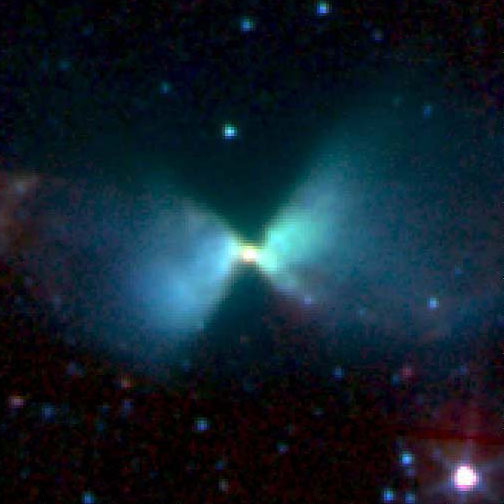 Be the first to comment on "Disk Around Protostar L1527 IRS Behaves like a Proto Solar-System"